Cache is the saved data or cached data that stores static files of your website on your server or web browser. Cache save files like images, script files, CSS, web pages and many more. Cache makes the WordPress websites faster. Caching your items is a good thing, sometimes it also creates problems and makes you think that you have an error. For example, if you make changes to your WordPress website and when you see, you find no change on your website. This is because of the cache. And sometimes your cache doesn’t clear the old error page like 502 bad gateway error, which could make you think that you still have an error on your website, while actually everything is good. Due to this kind of issues you need to clear or purge your website cache. It can be done in many ways. The browser stores the data or information about your WordPress website that does not change all the time. The network uses less data upon loading the website from a cache memory of the browser. Many browsers have a cache memory of their own so the user accesses its data fast. 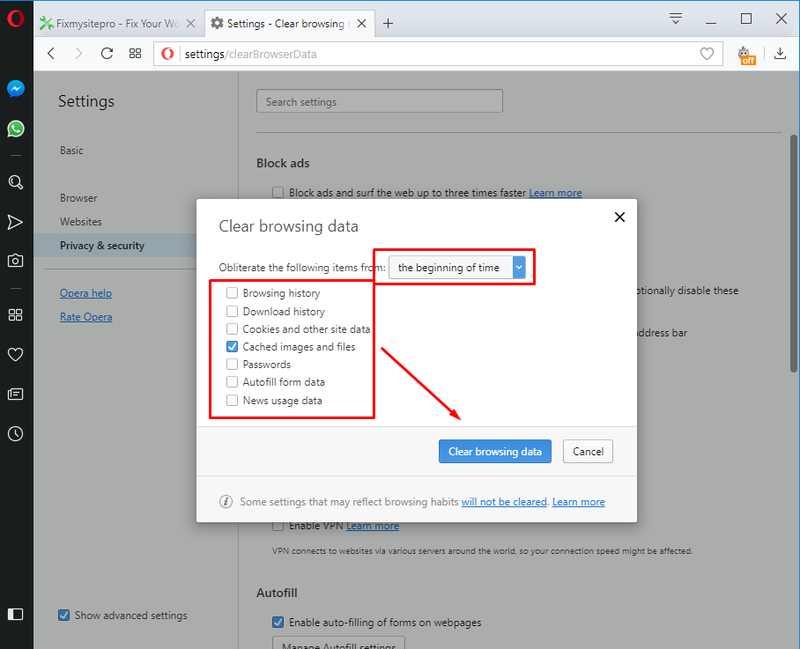 You can clear cache in different browsers by following simple steps. 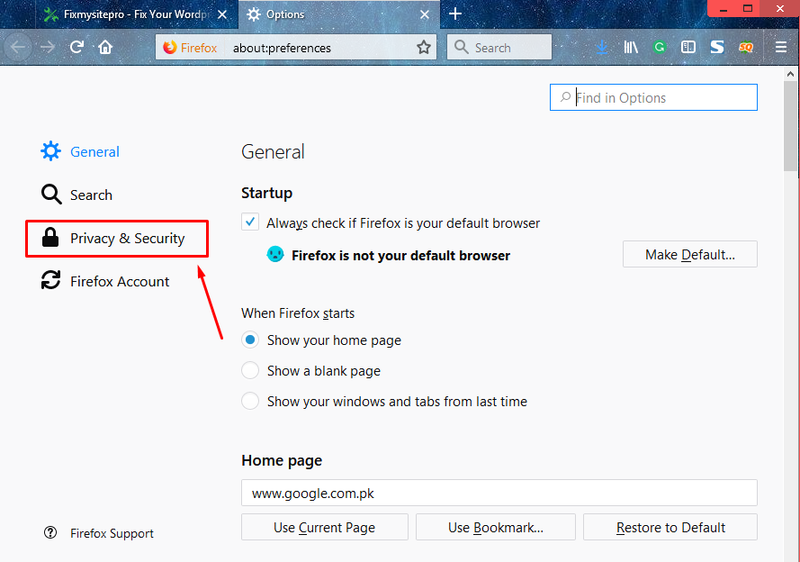 In Mozilla Firefox clearing cache is very easy. Simply click on the three line icon on the top right corner of your web browser. Then click on the options menu item and open it. Now Click on privacy and security to proceed further and scroll down to cached web content. Now all you need to do is click on clear now button as shown in above image to clear your browser cache. Clearing cache in chrome is simple. 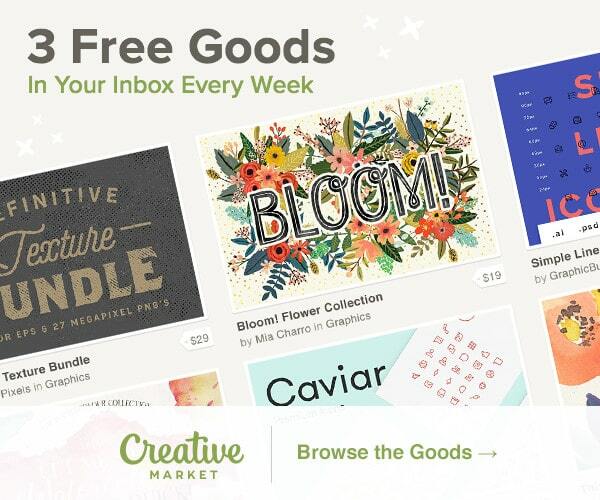 Click on the three dotted menu tab on the top right corner of your browser. Then click on the more tools option in the menu. Now click on clear browsing data in more tools option. 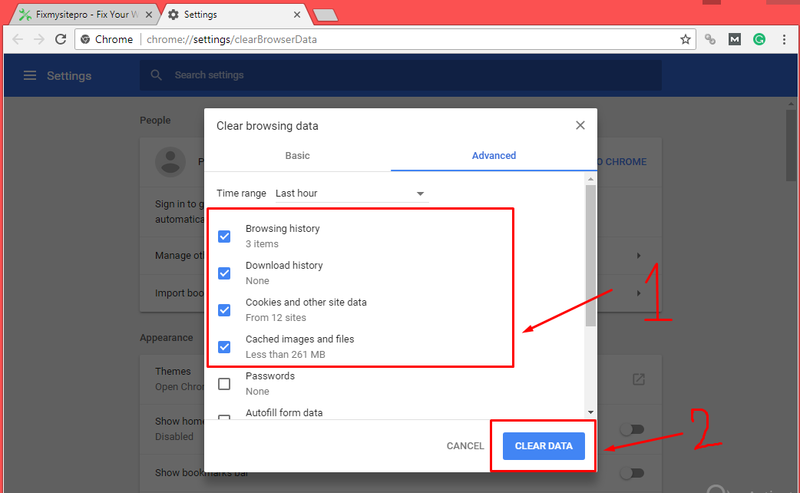 After clicking on clear browsing data a new window will open, you need to check the options as shown in the image below and click on clear data. By following these steps you can clear cache in chrome. In Safari click the setting icon in the top right corner of the browser and click preference. Then a pop up window will open, choose privacy option. 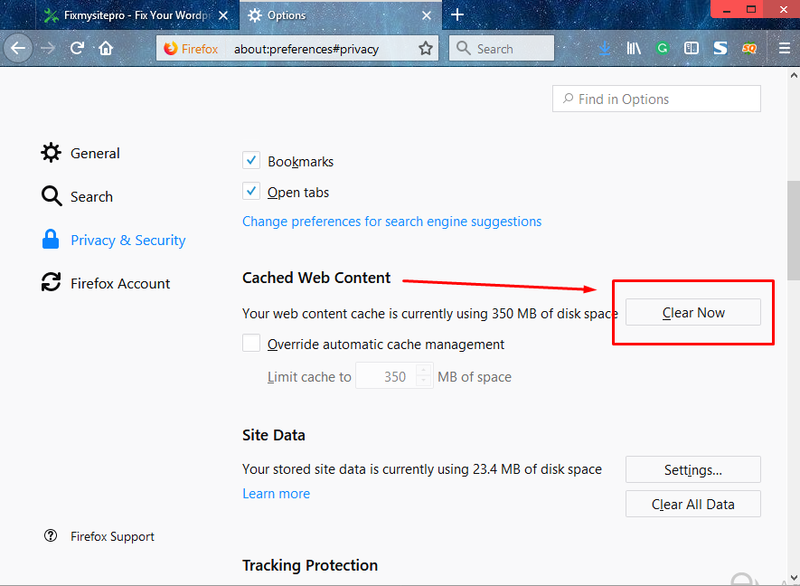 In that option, you can remove cache by clicking on remove all website data or you can remove cache of selected websites by clicking on details button. Clearing WordPress browsing cache is as simple as in Firefox and chrome. Click on opera logo on the top left of the browser and click on settings. Upon clicking on settings a new window will open. Select privacy and security and click on clear browsing data. For clearing cache choose the beginning of time and check cached images and files. Now click on clear browsing data to remove cache. Most plugins easy to use in clearing cache. If clearing cache from your web browser doesn’t clear your issues then you need to clear your plugin cache. There are many WordPress cache plugins you can use like WP Super Cache, W3 Total Cache, WP Fastest Cache, WP Rocket and many more. WP super cache is a free cache plugin. It is the most popular and fast caching plugin. It has many great features such as legacy caching, use of mod_rewrite and fixing pages that use PHP. You can clear cache in WP super cache easily. 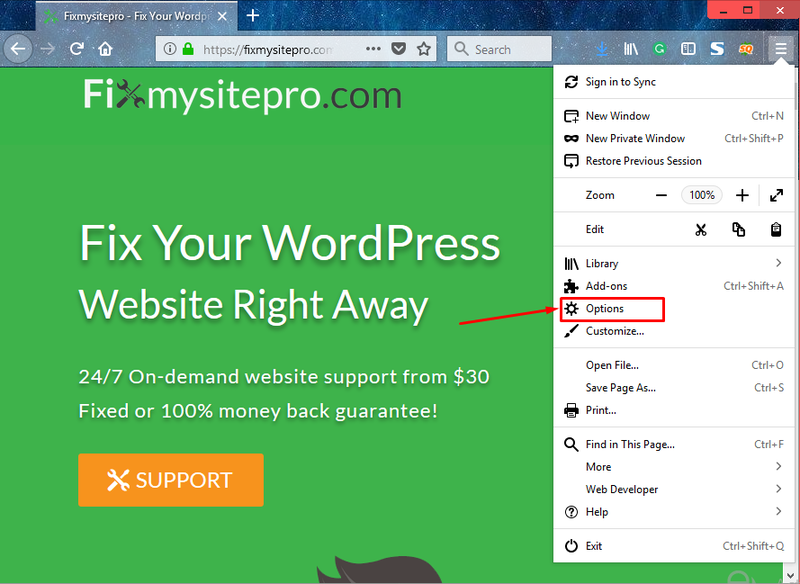 Open your WordPress admin menu and select settings. There you see WP super cache open it and click on delete cache, your work is done cache is removed. W3 total cache is one of the best caching plugins. It is specially designed to enhance user experience and optimize page load time. It has many cache options like browser, object, page, and fragment. 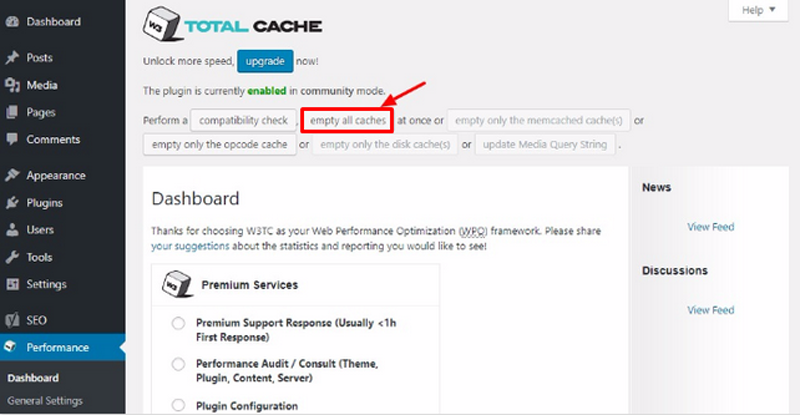 To clear cache in W3 total cache go to performance and select dashboard. This will take you to the W3 total cache dashboard where you can remove cache by clicking empty all cache button. 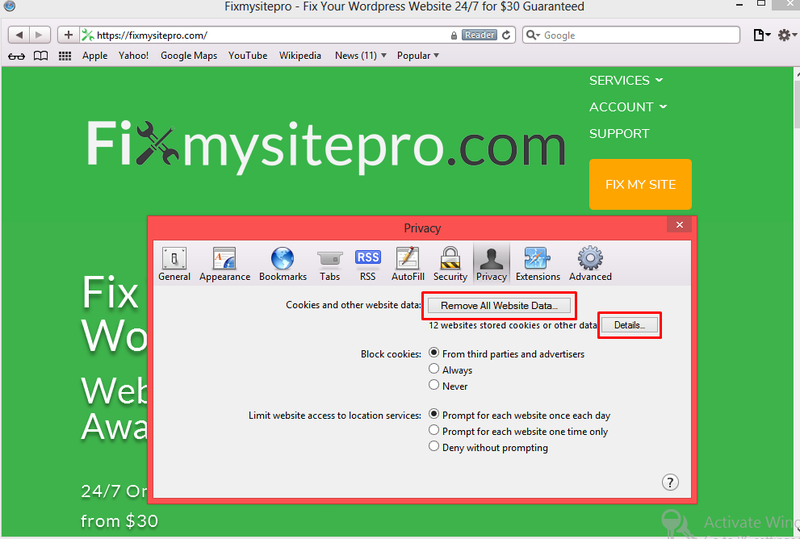 This will clear up all the cache of your WordPress website. 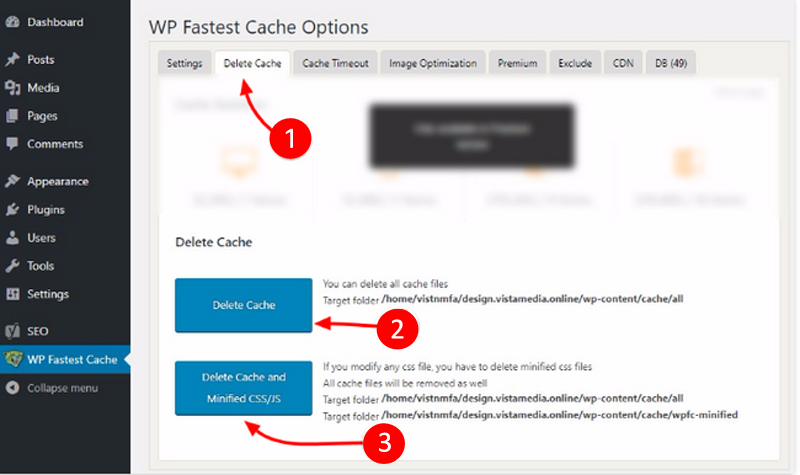 WP fastest cache is the most popular and simplest plugin. This plugin is easy to use and has many advantages, it enables cache option for logged in users, cache timeout for specific pages, and gives cache options for mobile devices. 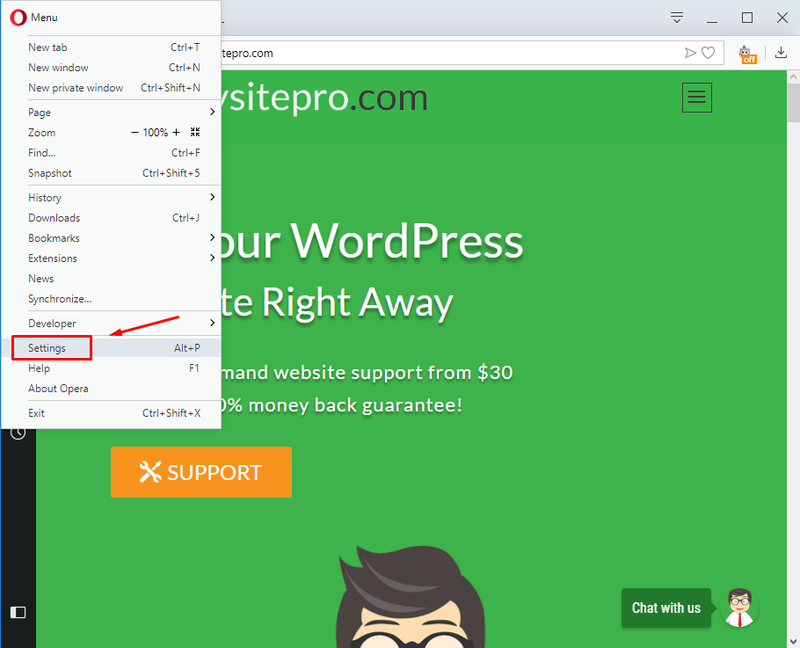 To clear cache in WP fastest cache, login to your WordPress admin. 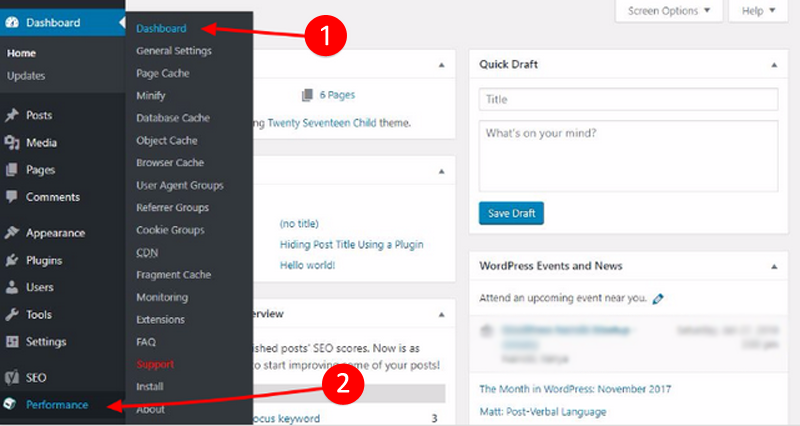 After logging in you see WP fastest cache dashboard click on it. 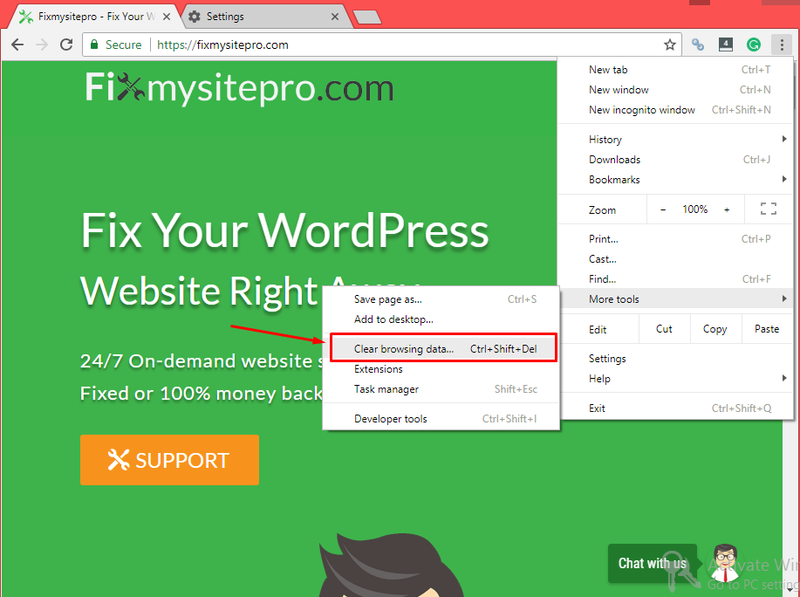 In WP fastest cache option click on delete cache tab, there you can clear cache by simply clicking either delete cache or delete cache and minified CSS/JS button. 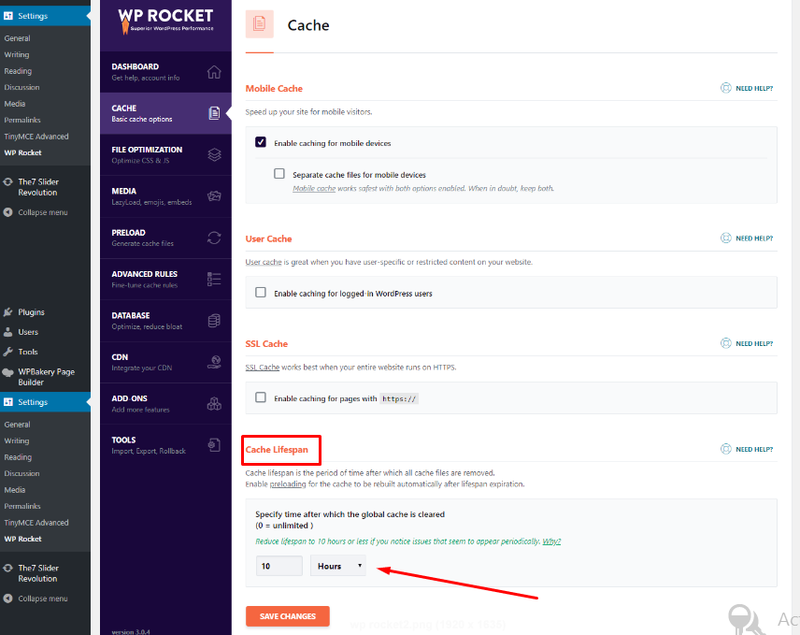 To clear cache in WP Rocket Login to your WordPress website admin account and click on WP Rocket in settings. 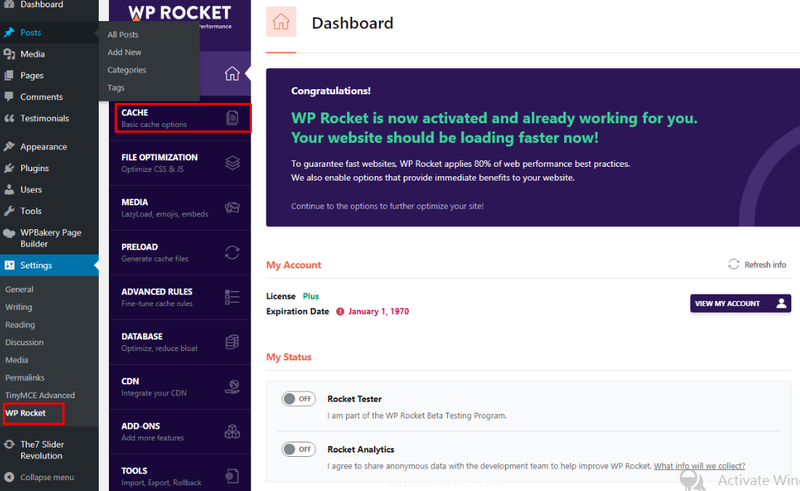 A WP Rocket dashboard will open where you see cache option click on it. In the cache option you can choose the minimum cache lifespan to clear cache and click on save changes. Your host may be using cache plugins without letting you know on the server. Server cache includes PHP, HTML, Object, and MySQL. You have to create PHP pages in order to build the page. The pages are cached so you don’t need to create code every time. 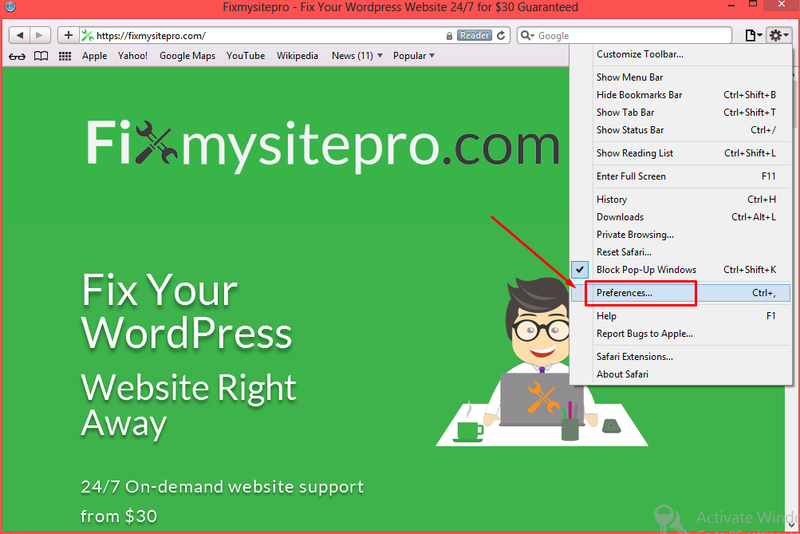 Website’s elements are stored in different locations in WordPress. The server creates a page in the HTML code when a website browser ask for a page. The HTML caching stores the pages so it can’t be built every time we ask for it. Object cache normally lasts for one request. We can reuse the objects by caching them. An object caching API is used in WordPress to cache object. The database is needed every time someone visits your website for the same results in MySQL. When a new post is published or there’s an update it removes the previously cached result. You may be clear your cache in your host’s settings if they allow you to make changes in your server settings. You can choose these settings in your control panel or admin panel for the hosting plan. In WordPress, you cannot do this. If the host doesn’t give you setting access they might clear the cache if you ask them. Every host is different. 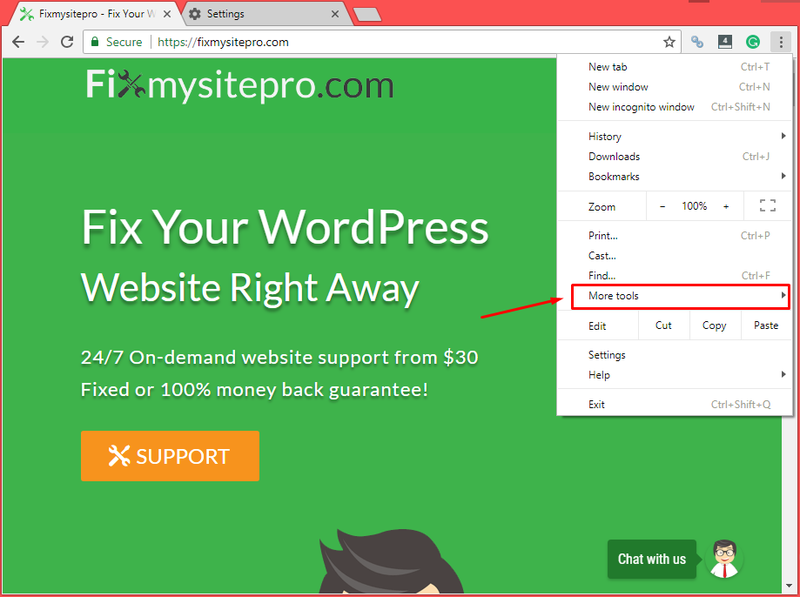 They will ask that you clear the cache using plugins and browser first then they will clear from the host server if you still facing a problem. 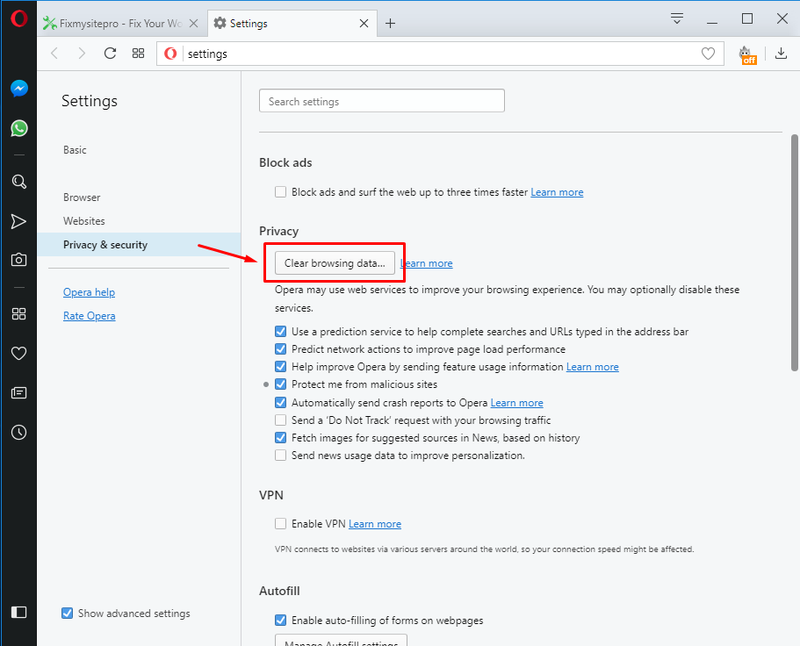 If you are using CDN ( content delivery network ) you need to clear cache in it, if clearing plugin and browser cache didn’t work. Let’s discuss how to clear cache in famous CDNs like CloudFlare, MaxCDN, and KeyCDN. It is very easy to clear cache in CloudFlare. It can be done in seconds. 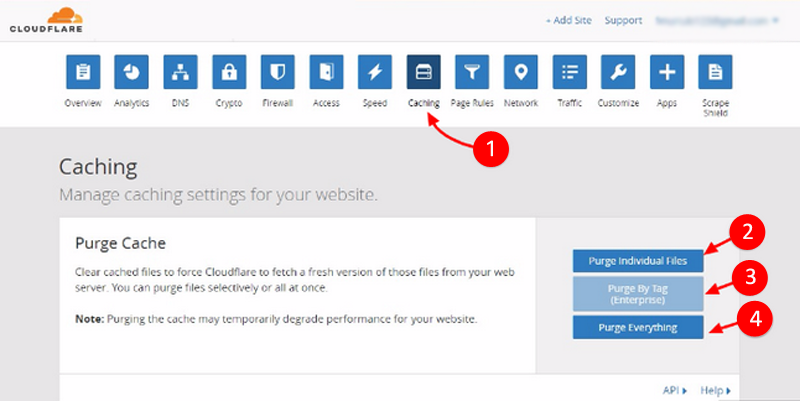 Login to your CloudFlare account and select the website whose cache you want to clear. 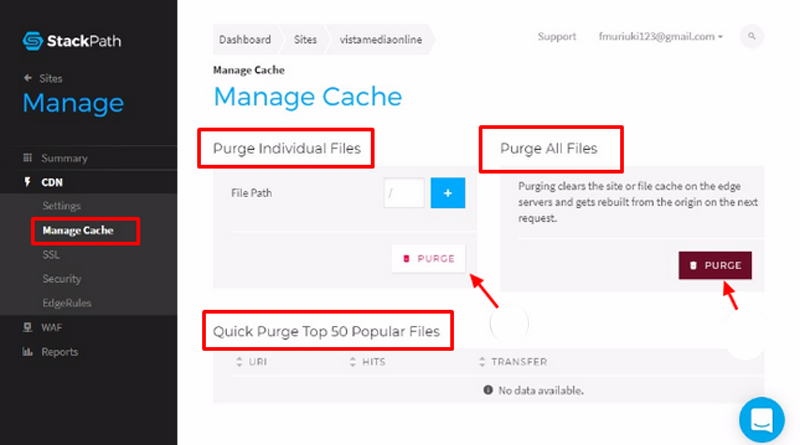 Click on caching button and then click on any of the three options ( Purge individual files, Purge by tag or Purge everything ) as shown in the image below. MaxCDN is a popular CDN also known as StackPath. 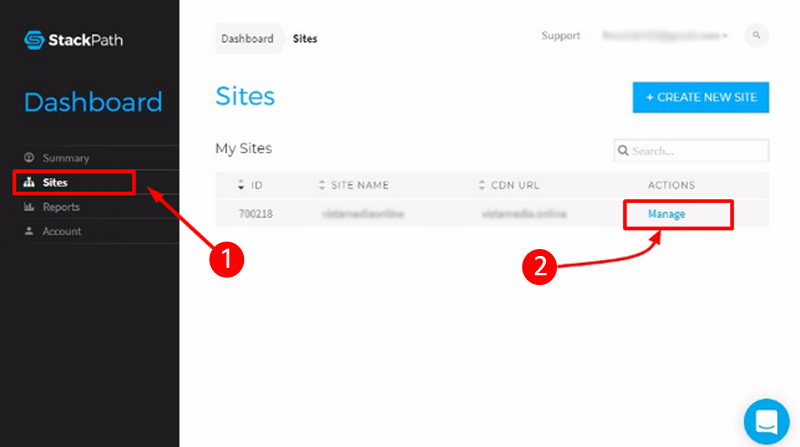 Login to your MaxCDN dashboard and click on sites in the side menu. Then select your website and hit manage button. The new menu will open, in manage section select manage cache, there you can purge your cache. By clicking on any of the three options as shown in the image below. KeyCDN is the powerful and high performance content delivery system. It instantly speeds up your website, CMS, software distribution, online games, advertisements and many more. To enhance the performance of your WordPress website, they use many technologies including caching. 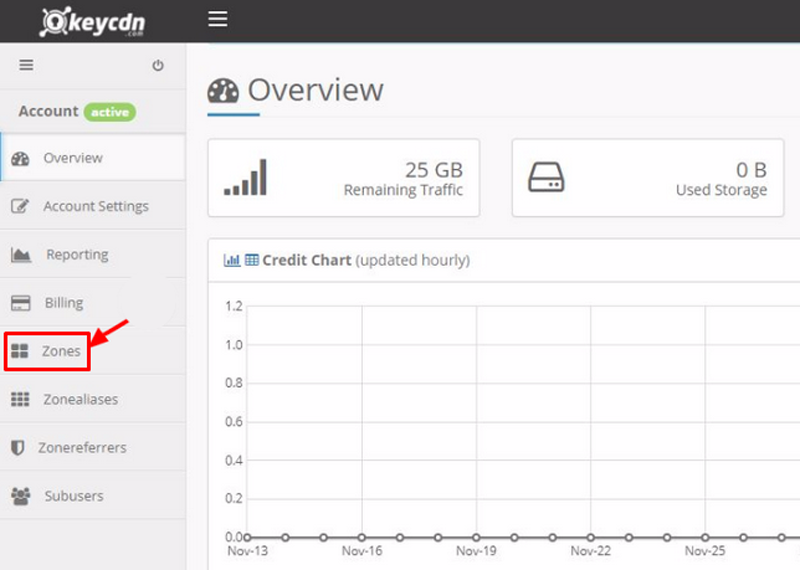 How can you clear cache in KeyCDN, simply login to your CDN account and click on the zone in the left menu. This will take you to the zone menu. 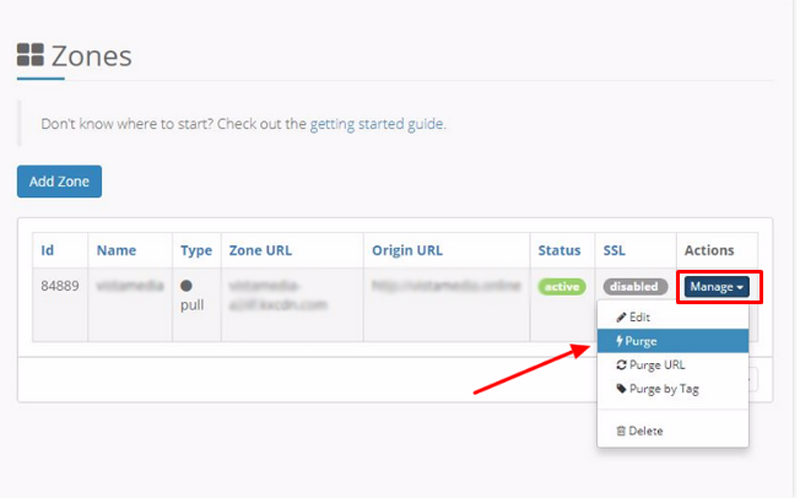 Now click on manage button, a small menu will open where you can purge your cache by selecting either purge, purge URL or purge by tag. 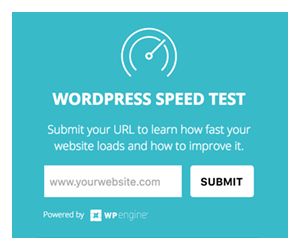 Caching your WordPress website is a good thing, this improves the user experience and speed up your website. However, sometimes cache creates many problems which you can easily resolve by clearing cache. Using the methods discussed in the article above. 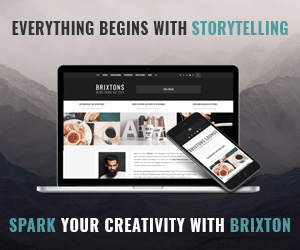 Haris Akram is a content writer and WordPress enthusiast. He is a content writer at fixmysitepro.com He writes about the users problem that they face in WordPress.